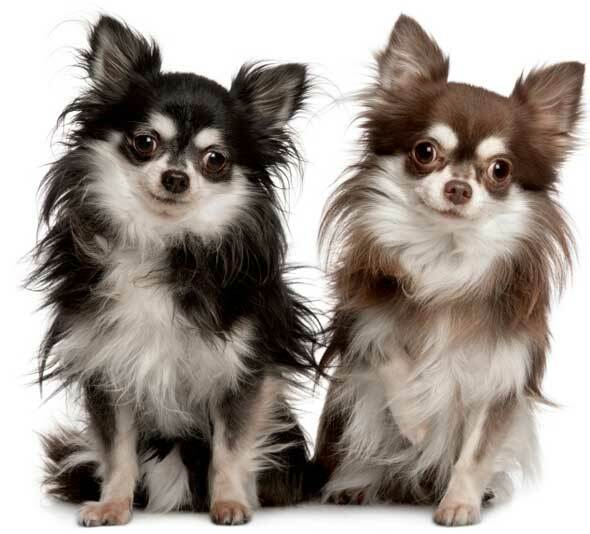 Learn about the temperament and personality of the Chihuahua. Discover what he's like to live with, his traits and characteristics and how he generally behaves. And look at lots of Chihuahua photos. 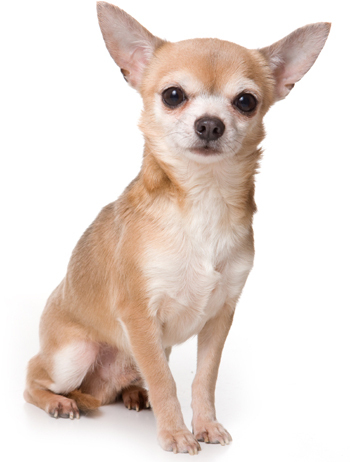 The Chihuahua has a terrier-like personality which means he's cocky, confident, feisty, quick-to-bark, relentless, and rash. He's the smallest of all dog breeds. He eats very little and takes up very little space. He's craves your affection and close physical contact (pats, rubs and scratches). He loves to cuddle and snuggle up to you on the couch. He'll sit on your lap or by your side for hours while you read or watch TV. He burrows under blankets and pillows to sleep, so be careful where you sit! He tends to bond more closely with one person: his main caretaker. He's alert and investigates all goings on. He's cautious and wary with strangers and can take a long time to warm up to them (he'll get to know them on his own terms!). He'll bark up a storm when a stranger enters his home. He doesn't get along very well with dogs he doesn't know, he can be aggressive with them. He isn't intimidated by other dogs in the least! He'll happily (and unwisely) take on a dog twenty times his size, so you need to watch him. He may nip at a child who is teasing him, but he's good with children who are gentle and respectful of him. He will get all the exercise he needs by walking and running around inside, which makes him an excellent apartment dog. He's very alert and will sound the alarm if a stranger approaches or enters your home. He shivers when he's excited, frightened, or cold. He's one of the top 20 most popular dog breeds in the United States. The Chihuahua is harder to train than most other dog breeds. He learns new commands more slowly than the majority of other breeds. You will need to be extra patient when Training him. The Chihuahua sheds a fair amount of hair. You'll find hair stuck to your couch, carpets, clothes and everything else in your home.